Thailand is the travel hub of Southeast Asia and the majority of people coming into the region fly into Bangkok. With its lush jungles, famed beaches, world-class diving, amazing food, friendly and cheap prices, Thailand has turned out to be my favorite country I’ve visited so far! I first came to Thailand in 2016 and travelled around Phuket, Phi Phi, Krabi and fell in love with the place, especially the Islands. I was determined to return to explore more and in 2018 I am doing just that, this time starting in Bangkok and travelling North. It’s an easy country to travel and you can meet a lot of other people there. You’re never alone! Thais are always smiling, pleasant, humble and patient people who laugh easily, speak softly, are slow to anger, and never try to cause anyone to lose face. Thais are very proud of their cultural heritage and enjoy talking about it with visitors. Thais are proud that they have never been ruled by a Western power. The country is a great destination on the backpacking trail, everything you need is convenient and easy. There are still many off the beaten paths and destinations away from the tourist crowds and the heightened prices they bring. 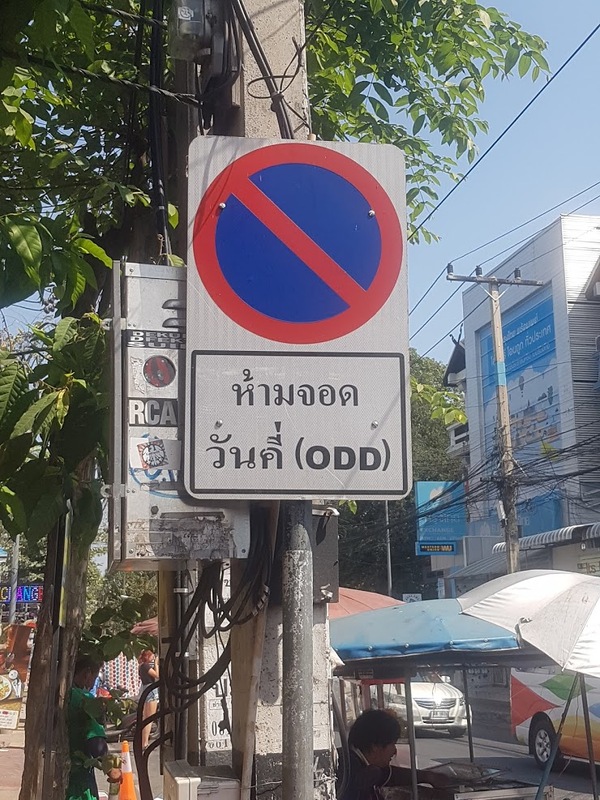 Overall, I think Thailand speaks for itself. If when you hear the name, you think beaches, beauty, jungles, and food. Your thoughts would be spot on. Thailand is situated in Southeast Asia near the equator, so expect it to be hot and humid during summer and prepare for torrential downpours during the rainy season. November to February is probably the best time to travel as its cool and dry, December to January is peak season and can get very crowded. March – June can get pretty hot. If your in Thailand around the second week of April don’t miss the Songkran Festival. July – October is the wet season, so unless you don’t mind traveling and getting wet I wouldn’t be out here during this time. Although there is a good side, hotels and airfares can drop to as low as 50% off which can be pretty tempting. Thailand is very cheap, though the north is far cheaper than Bangkok and the southern islands. In Bangkok I found a hotel room for 550 THB (£12.50) a night, whereas in Chiang Mai i found a whole airbnb house to sleep 8 with a private pool for 2400 THB (£54) a night (that’s less than £7 a night each). If your travelling with a group splitting the bill makes this by far the cheapest most cost effective way. Airbnb is also growing in Thailand and a good amount of cities have a nice selection. My most uncomfortable experience was in a Koh Lanta Hostel, It was basically a shed with a wooden bed, pillow and an old school fan. 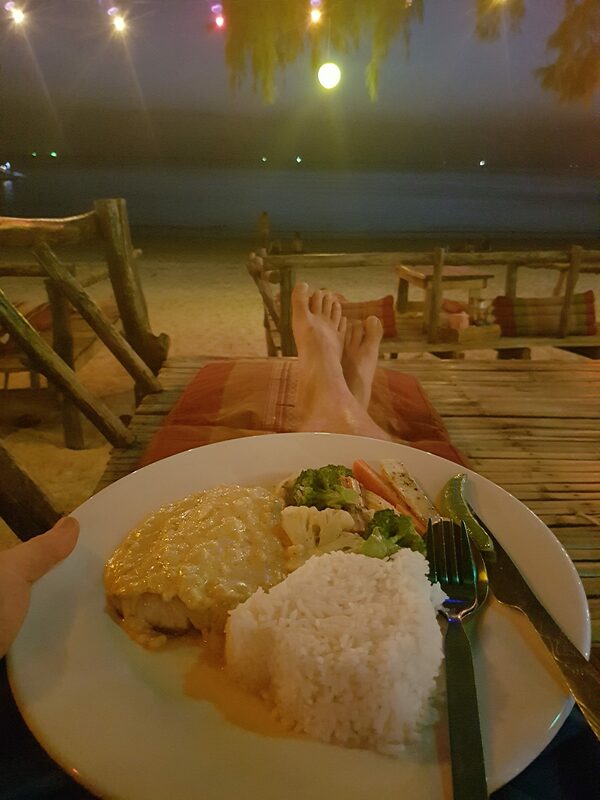 To be fair it was only 130 THB (£3) a night, so it proves you get what you pay for. On the islands or for a nicer room with air-conditioner, expect to pay 600 THB (£14) and up per night. Hotels start at around 1,350 THB (£30) per night and go up from there. Big resorts on the islands start at 1,700 THB (£38) per night for a bungalow on the beach. Tip: Get £25 off your first Airbnb trip of £55 or more click here. Few things beat lounging on the beach or in the pool, enjoying a sunset with a chilled beer in hand. Street food costs as little as 20 THB (50p), though on average you’ll spend about 35-50 THB per meal if you want something really filling. Since food is so cheap, there’s no point in grocery shopping unless you’re looking to get some pre-made salads or fruits. 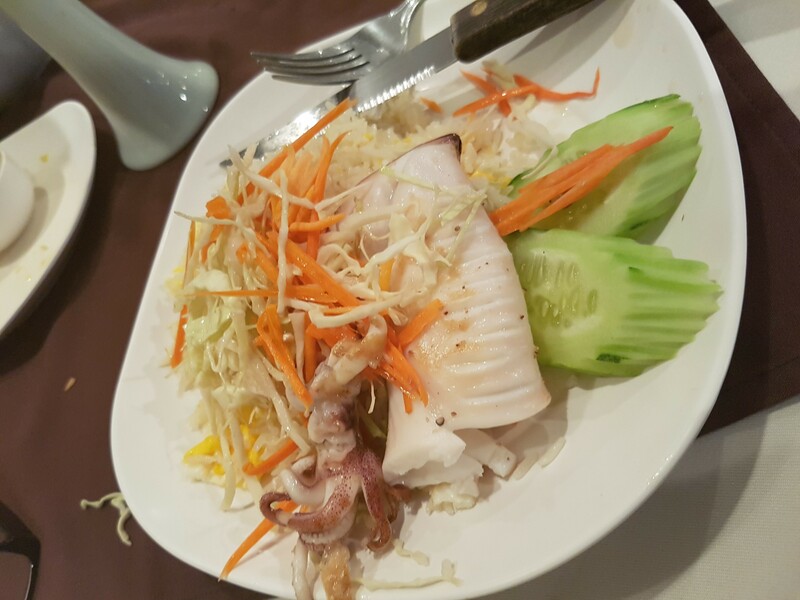 A Meal at an Inexpensive Restaurant is usually around 60 THB (£1.35), a Domestic Beer (0.5 liter draught) around 65 THB (£1.45), though I did once find a bar selling (0.5 liter bottle) of Chang for 20 THB 45p. A 0.33 bottle Water is 10 THB (22p). If you do choose to eat out at a traditional local restaurant be prepared that the facilities are going to be just that as well and are usually unisex. Plus they are unlikely to have any tissue paper, so it’s best to do your business before you leave your accommodation if you can. Tip: 7-11 Ham & Cheese Toastie are a great cheap quick meal if your short on time and money. The Beer: Singha is probably the best known Thai beer outside of Thailand it has a distinctive flavour and relatively high alcohol content. Chang is as common as Singha in Thailand and is comparable in terms of strength, but it’s characterised by a much more traditional lager taste akin to Tiger,or Budweiser. This can make it more refreshing than Singha. Leo is generously described as “non-premium”, and perhaps more frequently, “swill”. Try it if you must, but don’t fear that you’ll be missing out if you don’t! If you see a western beer expect to pay a premium import price, I once ordered a Hoegaarden on draught and it was 350 THB £8 a pint! Beware of menu scams, never order food at any restaurant where they don’t show the prices. This is in fact illegal. By law, shops have to show the prices of food. Some restaurants are using a dual-price policy where they charge one price for locals and another for foreign visitors. Basically if you don’t look like a thai you’ll likely be ripped off. There is another scam that you should be careful about. Most food shops show their menu in Thai on the wall. However, what they do in some food shops is to have a separate menu in English for tourists. I know what you are thinking, that is very kind of them. And quite often it is just that. But every now and then, there is an ulterior motive. 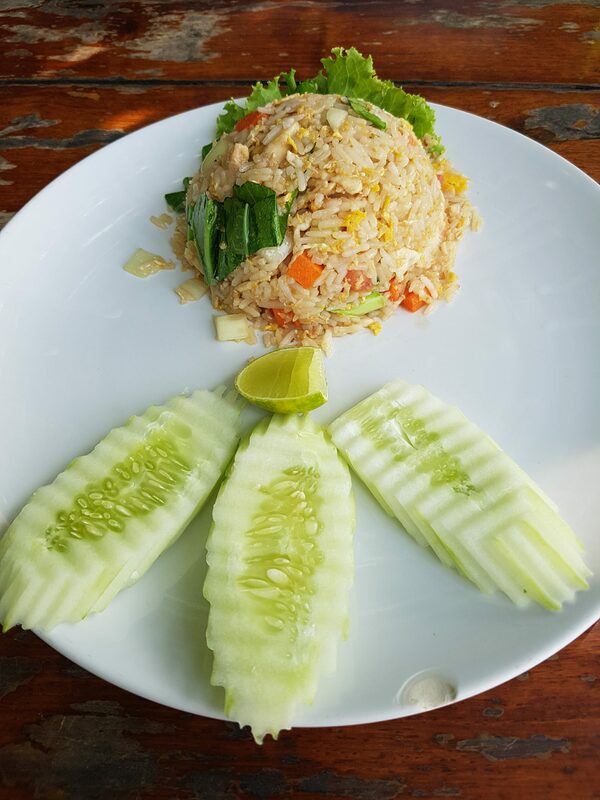 The prices on the English menu are sometimes double of what it is on the Thai menu. Of course, most tourists won’t know that as they cannot read Thai. 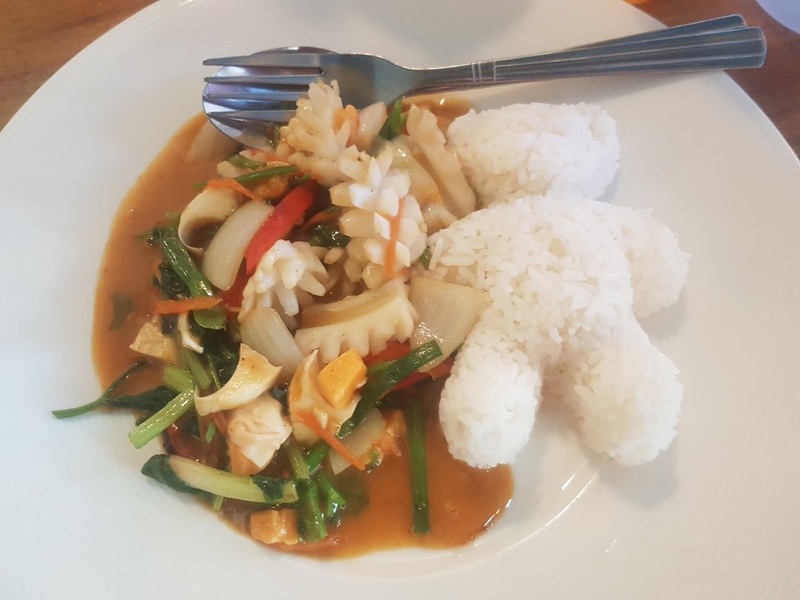 But if you see Thais in the same shop being given a different menu to you, then chances are high that you have the one with the inflated price. Tip: To attract a waiter, wave quietly with your palm down or say “Nong” (brother or sister). Never snap your fingers or raise your voice to attract a waiter. 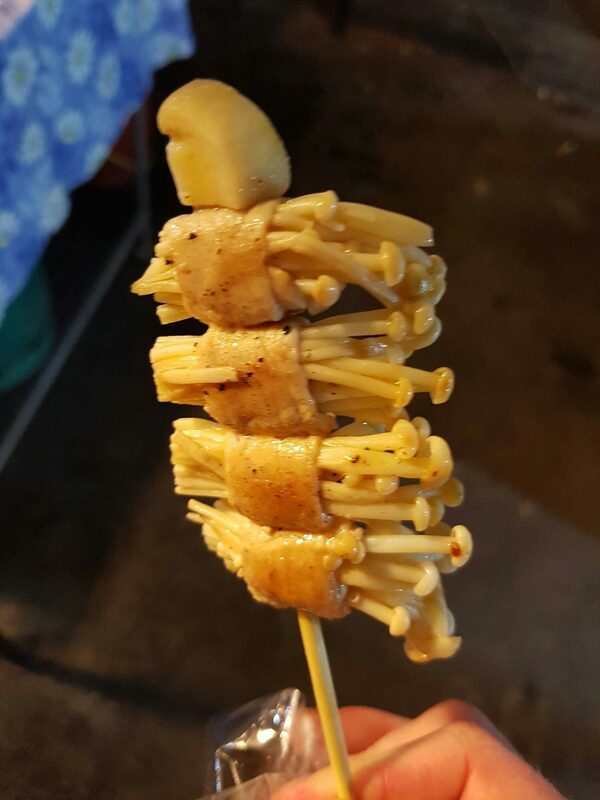 Tip: Don’t be scared to try the street food its delicious, It’s safe. Sometimes it’s even safer than restaurant food. If it wasn’t, Thai people wouldn’t be packed in the food stalls each day. 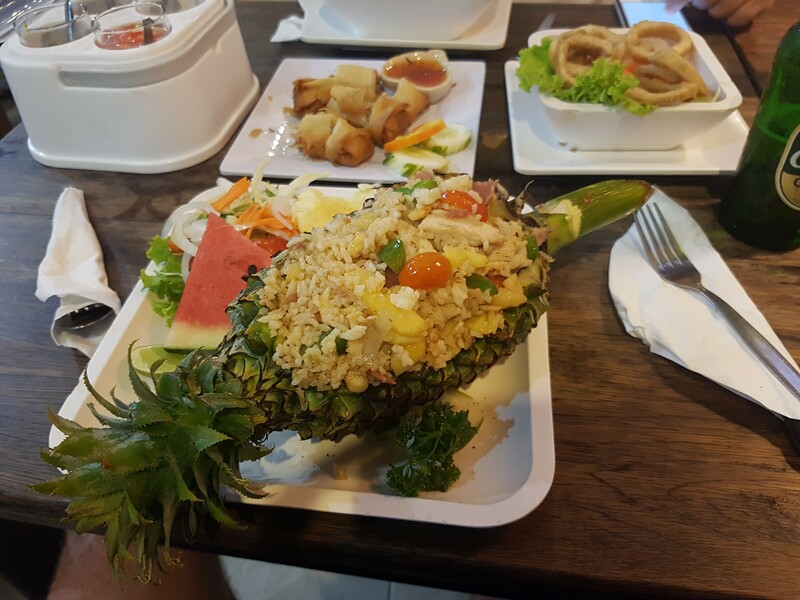 You’ll find the best of Thailand’s food on the street and it will cost you a fraction of what you pay at a restaurant. Tip:Take advantage of happy hour – Thailand’s many happy hours have half-priced drinks and 2-for-1 specials. 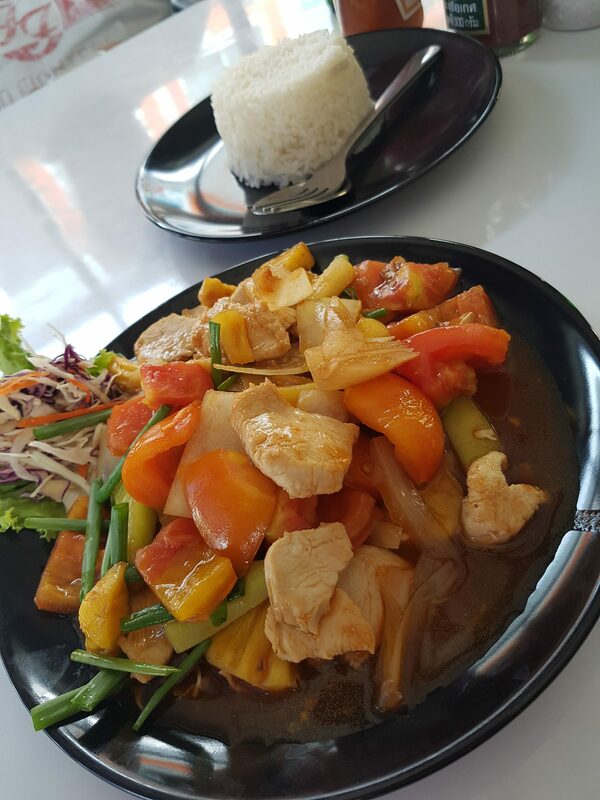 Tip: Thai food is eaten with a fork and a tablespoon rather than with chopsticks. The spoon is held in the right hand and the bottom of the fork pushes the food into the spoon. Tip: Never drink tap water unless it is boiled. Avoid eating salads that haven’t been washed in purified water. Always peel fruit before eating. Tip: Cook it, Peel it or leave it. If in doubt leave it out. Tip: Many Thai dishes are hot and spicy with herbs, lemongrass, and coriander, but most are not especially aggressive. Food is always sweet, sour, hot, salty or spicy never bland. Each region has its own specialties. Tip: Rice is eaten with almost every meal. Tip: Leave a small amount of food on your plate when you have finished eating, to show you are full. Place your spoon and fork on your plate at the 5:25 position to indicate you are finished eating. Like everything in Thailand, transportation is also cheap. For more specifics on location check out my destination posts. Local buses cost as little as 5 THB (10p) per trip. Tuk-tuks are un-metered and generally more expensive, costing 100-235 THB (£2.20-5.30) per ride. Taxis are ok if you ask for a metered one (especially in the cities), otherwise you’ll likely be ripped off. Uber or Grab is probably the cheapest most reliable in cities. Train service around the country is cheap – day trains cost as little as 50 THB (£1.10). Night trains start at 575 THB (£13) for second-class without air-conditioning. My 2nd class with AC overnight train from Bangkok to Chang Mai was 1100 THB (£25). On my journey the train lights remained on the entire night. You may also want to know that there are two toilets, one side is a western toilet and the other a traditional thai. Both have holes straight down to the tracks underneath, so its best not to go at a station. Fly, If you want to save time and don’t fancy the long train journey back south, my flight from Chiang Mai to Krabi was 3400 (£77). 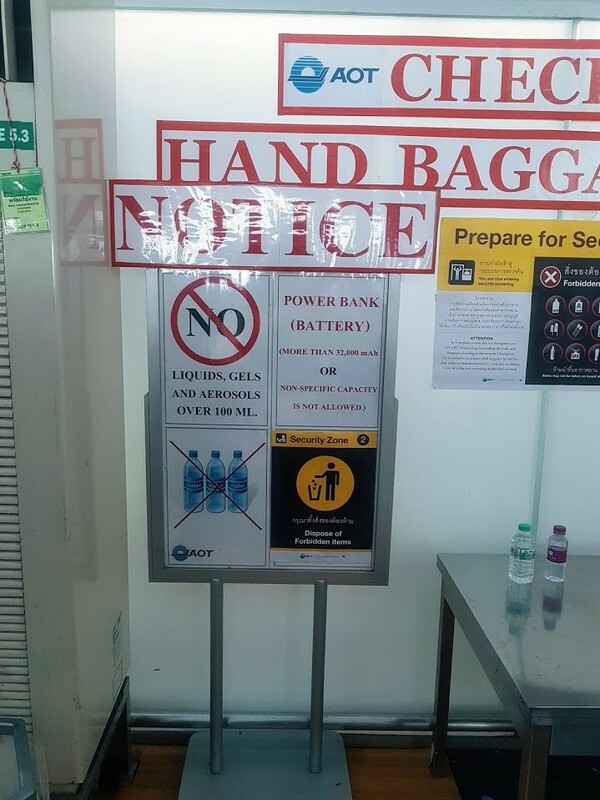 Ferry, If your carrying a large bag or backpack you’ll be asked to leave it on the front of the ferry where they pile them up, so be careful not to leave anything easily breakable inside. It tends to be an unorganised free for all to try and find your bag at the end. If you want an air con seat its best to get on quickly as the seats fill up fast, however this could mean your bag being on the bottom of the pile. Boat, Smaller boats like the longtails you can usually haggle a price. Moped, You’ll probably need to show both your passport and driving licence, but this is a great way of getting around, especially exploring the quieter islands like Koh Lanta, Koh Tao etc. If you choose not to wear a helmet bear in mind if caught the fines are 200 THB for locals and 400 THB for foreigners. Sŏrng·tăa·ou (Minibus) are cheaper and less inclined to rip off passengers compared to tuk tuks (because many Thais use them too), but English can be a problem and routes are not always direct. Riding in a sŏrng·tăa·ou is an excellent way to meet local Thais. Tip: In some parts you have to park facing in one direction on the odd days of the month and then facing the other direction on the even days of the month. Tip: Traffic lights are more of a suggestion and often ignored. Tip: There are usually signs or lanes for making U turns, usually every mile. Tip: When being introduced or greeting someone, men Sa-wad-dee-krap and women Sa-wad-dee-ka (Hi). Men cutting it short, ‘Kap’ and the ladies over pronounce, ‘kaaaaaaaaaaaa’. Thias use this to greet at any time of the day. It can be used as Hello, Good afternoon, Good Evening, Goodnight and Goodbye. Tip: Wai (why) – a person places the palm of his or her hands together, with their fingers extended at chest level close to their body and bows slightly. The higher the hands are placed, the more respect is shown. A wai can mean “Hello,” “Thank you,” “I’m sorry,” or “Goodbye.” A wai is not used to greet children, servants, street vendors or laborers. Never return a wai to a child, waiter, clerk, etc. Simply nod and smile in response. In Thailand the power sockets you can come across are of type A, B, C, F and O. The standard voltage is 220V and the frequency is 50 Hz. I found that the majority of locations the sockets are dual and can take both plugs A & C in the same socket. The first thing I did after getting off the plane in Phuket and into the arrivals lounge was find the nearest phone shop. You can buy yourself a Thai sim card and as long as your phone is unlocked you can simply swap out your sim and I found I had a full strength 4G signal everywhere I went. The Thai network strength is far superior compared to the UK’s. If your phone is “carrier locked” to a specific mobile carrier, you will not be able to use a local Thailand sim card in it. There are 3 major providers to choose from in Thailand: DTAC (also known as “Happy”), AIS, and True Move. Purchasing a sim in Thailand is as easy as buying a candy bar. They are EVERYWHERE. I simply told the shop representative what I wanted, handed him my phone, and he took care of the rest. In less than 5 minutes I had a fully functioning phone with a new Thai sim/number and of coarse my own sim card safely placed in its own card to keep safe. It cost 99 THB (£2) for the Sim Card which came with 35 baht of free calling credit. 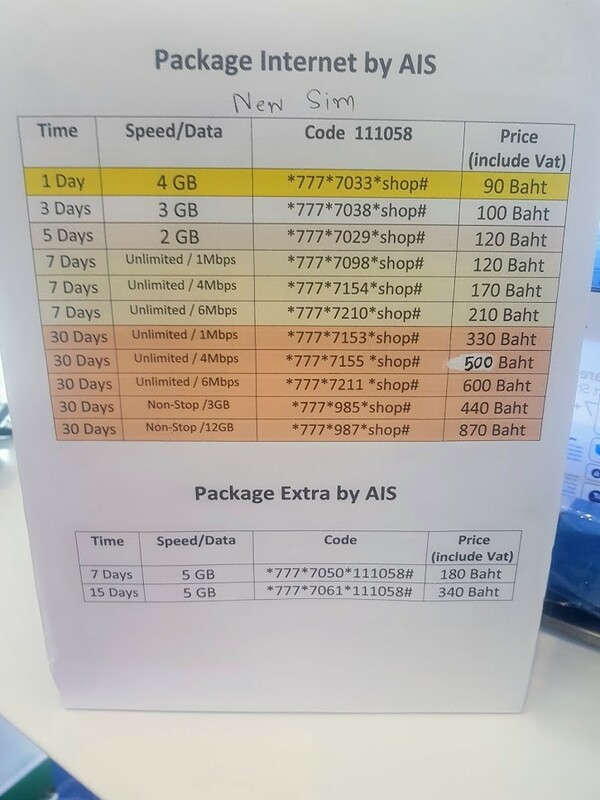 I also purchased the unlimited 7 days of internet/data for 249 THB (£6). So for 350 THB (£8), I had unlimited internet on my phone for a week and some credit to call hotels, etc. I then just topped up if and when I needed. Failing that it may be best to stick to free Wi-Fi, which isn’t hard to find as virtually everywhere offers it. Currency Thai Baht is usually around 1 GBP=50 THB, $1=35 THB, 1 EUR=38 THB. When withdrawing cash ATMs in Thailand charge 220 Baht per withdrawal, which you can’t avoid. It’s a standard charge from the ATM provider. So plan to take out as much as you can in one transaction. Remember the fee is included in your maximum withdrawal, so if the fee is say £5 and you want £300 you can only ask to withdraw £295. Should I tip? How much? At restaurants, it is usual to leave any coins given as change as a tip – This is why 20THB change will almost always be given to you in coins rather than a 20THB note ! For taxis, fares are often rounded up to the nearest 5THB or 10THB . You can often haggle down between 25% and 40%, but this is not a fixed rule. Prices aren’t many times what they should be. 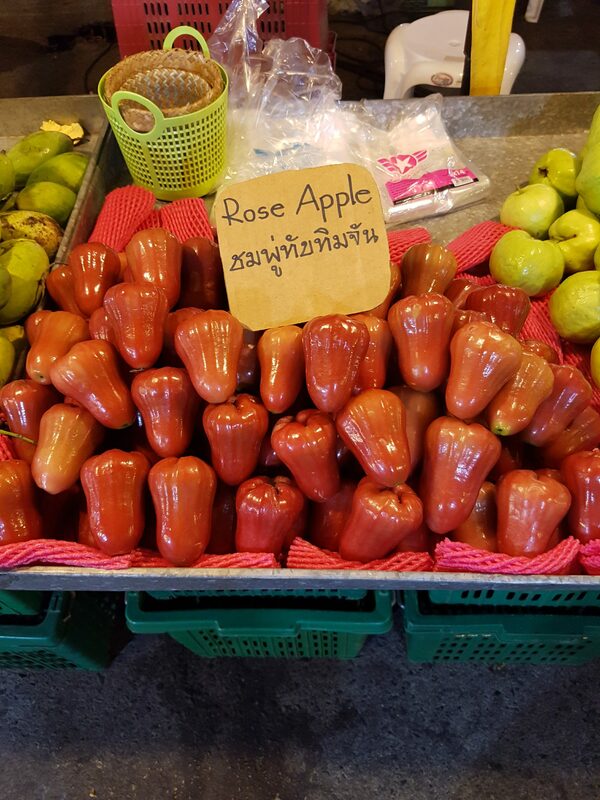 Being friendly, smiling a lot and speaking Thai and buying in bulk are all likely to get you lower prices. Get yourself a Thai sim card Don’t worry about obscenely large roaming bills, 500 THB, £12 will get unlimited data for 30 days. Take advantage of happy hour – Thailand’s many happy hours have half-priced drinks and 2-for-1 specials. Beware of menu scams, Never order food at any restaurant where they don’t show the prices, you’ll likely be ripped off. Do respect all Buddha images. Buddha images are held sacred and sacrilegious acts are punishable by imprisonment even if committed by foreign visitors. Don’t show disrespect towards the Thai Royal Family. It’s a criminal offence to insult the Thai monarchy. Don’t book any tours before you arrive – Want to take a cooking class? Go zip-lining? Trek in the jungle? Dive? Wait until you get into Thailand to book anything. Travel agencies are located all over the tourist areas, looking to sell their tours. Time to brush up on your negotiation skills. You’re able to purchase these tours online before you arrive, but you’ll be paying a lot more! Step over the threshold, not on it, when going through a doorway. Thais believe a spirit resides in the threshold. Take off your shoes before entering a home, wat or building which has a Buddha image within. Thai etiquette means not putting your feet up on anything not meant for feet (like a coffee table or a chair). Feet = dirty. Keep yours on the floor. (What if you’re sitting on the floor? Tuck them beneath you or beside you, away from those nearby). Never touch or pass anything over anyone’s head. The head is considered sacred in Thailand and must be respected. To beckon someone, extend your arm with the palm of your hand down and flutter your fingers up and down. Traditional Thais believe a woman can lose face if a man touches her in public. Thais address one another by first names and titles and reserve last names for very formal occasions and written communications. I was addressed Mr. Ash once they new my name. Last names have been used in Thailand for only the past fifty years and are difficult even for Thais to pronounce. Two people with the same last name are almost certainly related. Don’t take Buddha images out of the country. Strictly speaking it is against the law to take or send Buddha images out of the country unless special permission has been granted. However, this doesn’t mean that stores won’t sell them to you. They will sell them to you, but won’t necessarily tell you about the regulations. DON’T forget the mosquito repellent and the Sunscreen. 7-11 stores are everywhere if your running low on sunscreen, mosquito repellent or want bottled water or a quick bite. Also a beer in 7-Eleven is about 35 THB , while the same beer will cost 100-170 THB in a restaurant or bar. The Ham & Cheese Toastie are a great cheap quick meal if your short on time and money. Stay away from Patong this place is far to over-developed and crowded. Phuket draws a lot of tourists, and if you really want to enjoy the area, get out of the main spots. Don’t overstay your visa. It’s up to you whether you overstay or not. 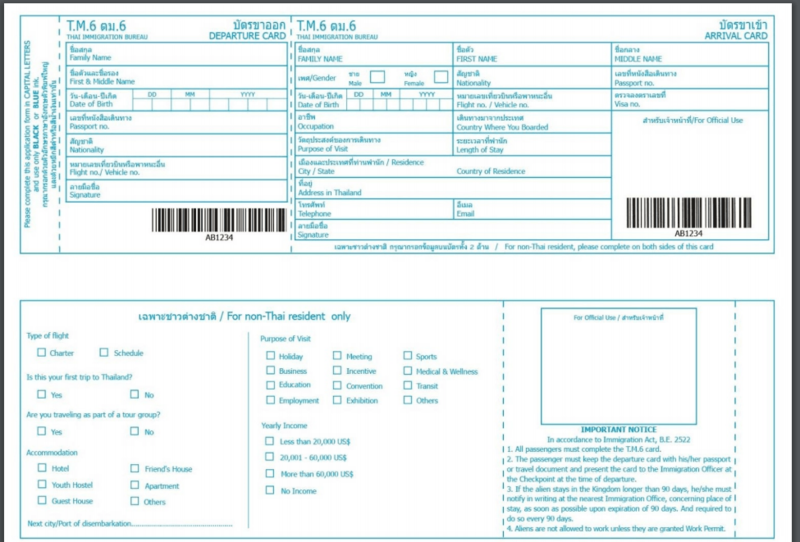 The best-case scenario now is a fine of 500 Baht for each day of your overstay. The worst-case scenario is detention in a Thai prison and deportation. The latter has happened to people who have overstayed by a few days and were en-route to renew their visas. The choice is yours. The hottest period is between April and May, when all-day sunshine is pretty much guaranteed. Rainy season in southern Thailand occurs between September and October, when the tropical monsoon climate comes in full force and there is a risk of destructive tropical storms. Have you been to Thailand? Where’s your favourite part and time of year to visit?